Be Ready for any wildland fire incident with the BigBoost Wildland Antenna 2 Pack. Get the best with both of the high gain KNGP150 Antennas. Use the 18 inch ANKNGWPBB18V 148-174 MHz full spectrum antennas for everyday use, then when on federally run incidents who use frequencies in the 161-174 MHz range switch over to the TAC READY 16 inch ANKNGWPBB16V. The narrow tuning of the TAC READY 16 inch antenna is optimally tuned specifically to operate on the federal ground op frequencies. Both antennas have an SMA Male connectory to easily attach to the VHF KNG portable radios. The 2.15 db gain the BigBoost antennas have over the standard rubber ducky antennas enables almost double the talking distance. 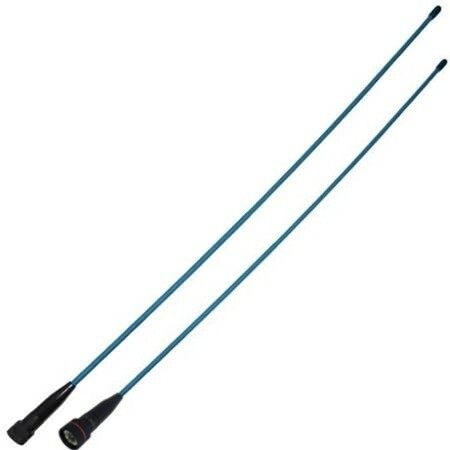 The 2 pack of antennas is designed specifically for wildland firefighters who contract with multiple agencies. Different frequencies are used in different areas and these antennas are there to provide the total needed coverage and the best performance available. Submit your question to our community of experts.